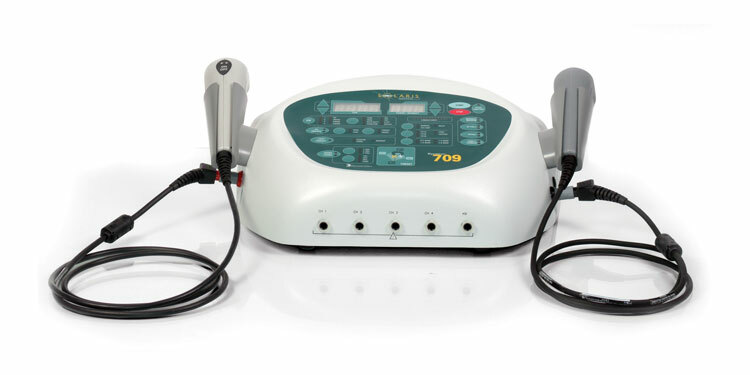 We utilize the Solaris model electrical stimulation, ultrasound, and light laser unit to effectively treat many soft tissue conditions in our office. These therapies are excellent at reducing pain, inflammation and edema. Solaris delivers 7 different Stim waveforms: IFC, Premod, Biphasic, Russian, High Volt, Microcurrent, Direct Current, Fixed Frequency, and Premod/IFC. In addition, the ultrasound device is extremely flexible, offering 1-3 MHZ frequencies to treat various depths of soft tissue problems.